The Old Byre offers self catering accommodation located close to the village of Rhossili which is home to the best beach in Britain close to Gower in Glamorgan. 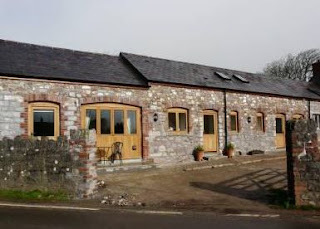 The Old Byre is a barn conversion that now offers high quality accommodation. The living room boasts a beautiful wood burning, plenty of comfortable seating and a flat screen TV. 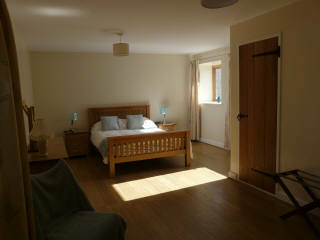 Also located on the ground floor is a utility room with toilet, washing machine and room to store shoes and coats. Outside the self catering accommodation there is a patio area where you will find comfortable outdoor furniture and barbeque facilities. There are numerous things for guests to do in the local area including walking, cycling, fishing and sailing. Guests can spend the day relaxing at the beach or even visit Gnoll Estate Country Park which is just under and hour away. The park is spread over two hundred and forty acres offering woodland, water and playgrounds. Plan your perfect trip in Great Britain! Whether you are staycationing or visiting from overseas, here at Around About Britain you will find the perfect accommodation for you. We provide a guide to all types of accommodation - From self catering, bed and breakfasts, guest houses, hotels and hostels.